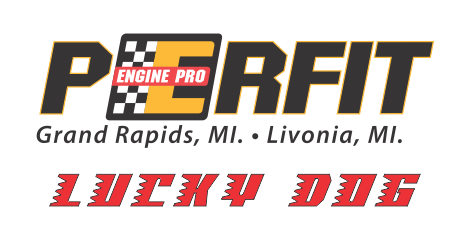 ERIE, MI (January 27, 2017) – The Perfit Corporation has joined Engine Pro Sprints On Dirt presented by ARP as sponsor of the Perfit Lucky Dog Award that will awards one lucky driver $100 from a random draw of all competitors at every SOD race in 2017. The award is a long-time favorite of competitors, often surprising them with a little extra cash at the end of a SOD race. The Perfit Corporation is part of the largest engine parts network in the country, Engine Pro, servicing Michigan, Indiana and Ohio from its Grand Rapids, MI; Livonia, MI; locations. The Engine Pro network of 35 distribution centers provides engine builders and machine shops across the country with a full line of brand name internal engine components. The Perfit Corporation has been the primary engine parts supplier for hundreds of automotive machine shops in the Michigan, Ohio, Indiana region for more than 30 years. It has built its business on outpacing its competitors, including online-only retailers/vendors. The Perfit Corporation has the right people. Its salespeople know what they are talking about. Many have raced in the past or are currently competing at the street, drag and circle track level. Most have been with Perfit for more than 20 years. The Perfit Corporation supports racing at the grass roots level. 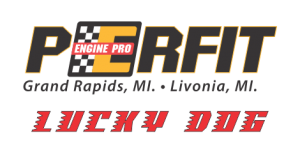 The Engine Pro brand is front and center not only with Engine Pro Sprints On Dirt presented by ARP, but at numerous of local tracks and racing venues across the Michigan, Ohio, Indiana region. Meet The Perfit Corporation at www.perfitenginepro.com. To learn more about Engine Pro, go to www.enginepro.com. For more information about ARP, go to www.arp-bolts.com. Follow SOD on Facebook at www.facebook.com/sprintsondirt. Engine Pro Sprints On Dirt presented by ARP is brought to you in 2017 by many important sponsor partners including: Engine Pro (Title Sponsor), ARP (Title Sponsor), Hoosier Racing Tire (Official SOD Tire), MAHLE/Clevite (Beyond Limits Challenge Sponsor), Driven Racing Oil (Battlegrounds Bash Sponsor), King Engine Bearings (King of Michigan Sponsor), The Perfit Corporation (Lucky Dog Sponsor), Engler Machine & Tool (Primary Heat Race Sponsor), COMP Cams (Primary Heat Race Sponsor), RockAuto.com (Primary Heat Race Sponsor), Lane Automotive, KSE Racing Products, and XYZ Machining. In addition, SOD contingency sponsors include: Allstar Performance, ATL Racing Fuel Cells, BR Motorsports, Diversified Machine Inc. (DMI), K2W Precision/Keizer Aluminum Wheels, King Racing Products, Kistler Racing Products, License 2 Play, Maxim Racing, Motor City Racing Promotions, Racing Optics, Rod End Supply, Schoenfeld Headers, Simpson Racing Products, Walker Performance Filtration. After the success and popularity of its new beyond limits format of Engine Pro Sprints On Dirt presented by ARP in its inaugural year, the 2017 Engine Pro Sprints On Dirt schedule has been eagerly awaited. It has now been released and SOD will return to Butler Speedway, Crystal Motor Speedway, Hartford Speedway, Merritt Speedway, and Thunderbird Raceway. In addition, Baer Field Motorsports Park and Manistee County Fairgrounds Speedway will also host SOD races. The season will open on April 29th at the traditional home of the SOD season opener, Crystal Motor Speedway. The season will end at Crystal Motor Speedway on September 2nd with SOD’s biggest race of the year, the Mike Olrich Memorial Race. The ever-popular MAHLE/Clevite Beyond Limits Challenge will once again be a highlight of the 2017 schedule. Joining the BLC in 2017 will be two more mini-series, the Driven Racing Oil Battlegrounds Bash and the King Engine Bearings King of Michigan. Each mini-series will have its own point fund and will pay its champion $1,000. Each champion will have a guaranteed starting spot in the Mike Olrich Memorial Race. The three mini-series give competitors an opportunity to achieve success on a smaller scale than the full, season-long SOD series. While bad luck can put a racer behind the eight ball, they will now have three separate mini-series in which to make up for their misfortune. The Engine Pro Sprints On Dirt presented by ARP schedule lists only confirmed dates. Tentative, TBA, and dates under consideration are not listed. The schedule subject to change at any time, so check the SOD website regularly. Engine Pro Sprints On Dirt presented by ARP is brought to you in 2017 by many important sponsor partners including: Engine Pro (Title Sponsor), ARP (Title Sponsor), Hoosier Racing Tire (Official SOD Tire), MAHLE/Clevite (Beyond Limits Challenge Sponsor), Driven Racing Oil (Battlegrounds Bash Sponsor), King Engine Bearings (King of Michigan Sponsor), Engler Machine & Tool (Primary Heat Race Sponsor), COMP Cams (Primary Heat Race Sponsor), RockAuto.com (Primary Heat Race Sponsor), Lane Automotive, KSE Racing Products, and XYZ Machining. In addition, SOD contingency sponsors include: Allstar Performance, ATL Racing Fuel Cells, BR Motorsports, Diversified Machine Inc. (DMI), K2W Precision/Keizer Aluminum Wheels, King Racing Products, Kistler Racing Products, License 2 Play, Maxim Racing, Motor City Racing Promotions, Racing Optics, Rod End Supply, Schoenfeld Headers, Simpson Racing Products, Walker Performance Filtration. King Engine Bearings has signed on as the title sponsor for the prestigious Engine Pro Sprints On Dirt presented by ARP 2017 King of Michigan at Hartford Speedway. 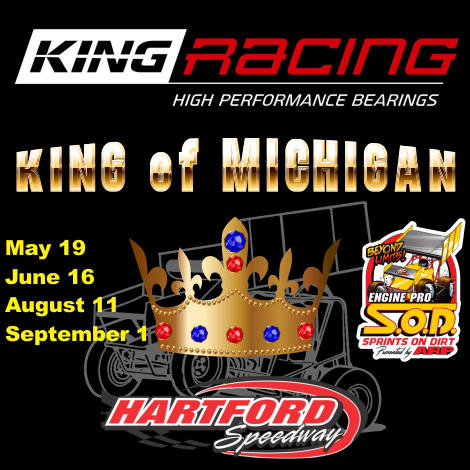 The King of Michigan had long been a SOD tradition as a single race before 2016, but has now been expanded to include all four 2017 SOD races at Hartford Speedway. The King Engine Bearings King of Michigan returns bigger and better with heightened excitement about the newly reconfigured 3/8 mile track and the expanded schedule. The 2017 KoM Champion will be crowned at the series finale on September 1. The King Engine Bearings King of Michigan will pay a point fund that will award $1,000 to the series champion. In addition, the champion will have a guaranteed starting spot in the Engine Pro Sprints On Dirt presented by ARP Mike Olrich Memorial Race at Crystal Motor Speedway on September 2nd. The King Engine Bearings team are bearing specialists. King Engine Bearings was founded in 1960 with one simple objective: to supply the highest quality bearings available in the marketplace. By specializing in engine bearings, King has built an extensive product offering that includes a wide range of engine bearings for automobiles, light duty and heavy duty trucks, marine, aviation, standby power and many other types of internal combustion engines. Every King bearing utilizes the highest quality materials and the most advanced designs to ensure complete customer satisfaction. For more information about SOD’s newest sponsor partner, go to www.kingbearings.com. Check out Hartford Speedway at www.hartfordspeedway.net. Meet Engine Pro at www.enginepro.com. For more information about ARP, go to www.arp-bolts.com. Follow SOD at www.sprintsondirt.com and on Facebook at www.facebook.com/sprintsondirt. Engine Pro Sprints On Dirt presented by ARP will return to Thunderbird Raceway on June 10. Engine Pro Sprints On Dirt presented by ARP made a dramatic appearance at Thunderbird Raceway last year. Before a packed grandstand, SOD put on an exciting, crowd-pleasing show that left spectators begging for more. They will now get their wish with this announcement. Long-time racer/promoter Tom Sprague purchased Thunderbird Raceway in 2015 and reopened it last year, saying it was an important moment for local racing fans after the 50-year-old track was closed for three years. Sprague has turned more than a few laps at Thunderbird Raceway himself. For more information about Thunderbird Raceway, go to www.thunderbirdracewaymi.com. For more information about Engine Pro, go to www.enginepro.com. For more information about ARP, go to www.arp-bolts.com. Keep up with SOD here on the Sprints On Dirt website and the Sprints On Dirt Facebook page. 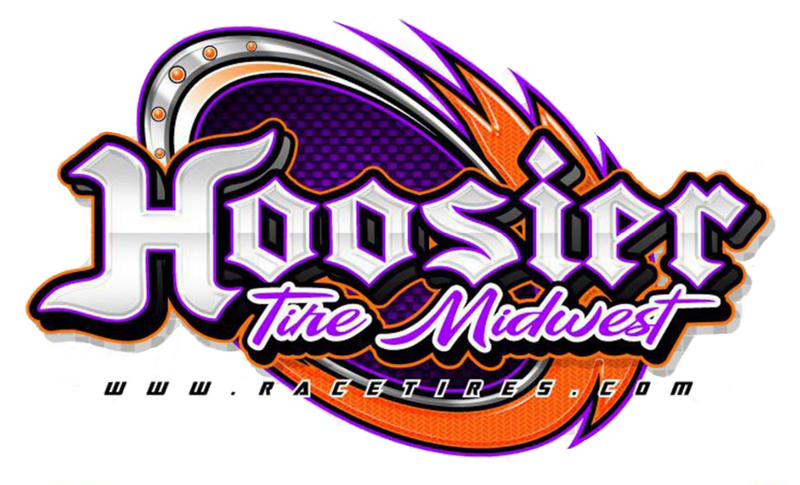 Engine Pro Sprints On Dirt presented by ARP is brought to you in 2017 by many important sponsor partners including: Engine Pro (Title Sponsor), ARP (Title Sponsor), Hoosier Racing Tire (Official SOD Tire), MAHLE/Clevite (Beyond Limits Challenge Sponsor), Driven Racing Oil (Battlegrounds Bash sponsor), Engler Machine & Tool (Primary Heat Race Sponsor), COMP Cams (Primary Heat Race Sponsor), RockAuto.com (Primary Heat Race Sponsor), Lane Automotive, and KSE Racing Products. In addition, SOD contingency sponsors include: Allstar Performance, ATL Racing Fuel Cells, BR Motorsports, Diversified Machine Inc. (DMI), K2W Precision/Keizer Aluminum Wheels, King Racing Products, Kistler Racing Products, License 2 Play, Maxim Racing, Motor City Racing Promotions, Racing Optics, Rod End Supply, Schoenfeld Headers, Simpson Racing Products, Walker Performance Filtration.